If you’ve found the new or pre-owned Land Rover vehicle you’ve been searching for, it’s time to consider financing and leasing options. Let the Land Rover North Haven financing department help you find the best Land Rover finance options in Branford for your budget and lifestyle. Don’t forget to check our rotating new vehicle specials to get a great Land Rover offer! Our Land Rover finance center in North Haven, CT is proud to be your go-to auto loan and car lease resource, and we aim to provide a great shopping experience for Madison-area drivers. We are also dedicated to building strong relationships in the community and with our customers so they keep coming back. Here are some benefits to choosing Land Rover North Haven. Our finance experts are committed to finding financing options for your new Land Rover or Range Rover vehicle. We can assist in used car financing and certified-preowned financing. We can even help you refinance your car loan or adjust the term of the contract. You can use our payment calculator tool to estimate your monthly payments on your next vehicle. You can offset the cost of a new Land Rover by trading in your current model for an upgrade! When you’re ready to take the next step towards a finance solution, fill out our car finance credit application for approved car financing. 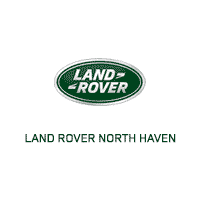 Contact Land Rover North Haven if you have any questions about the finance process, or stop by our luxury car dealership near New Haven, CT today! When you come in from North Haven for a test drive, you can compare your favorite luxury SUV models side by side to choose the best one for you.